“JX Mega Layout” module allows creating custom layouts (presets) for hooks and displaying them on the site instead of the default positions. It is possible to create different variations of the header, top column, main page body, and footer. 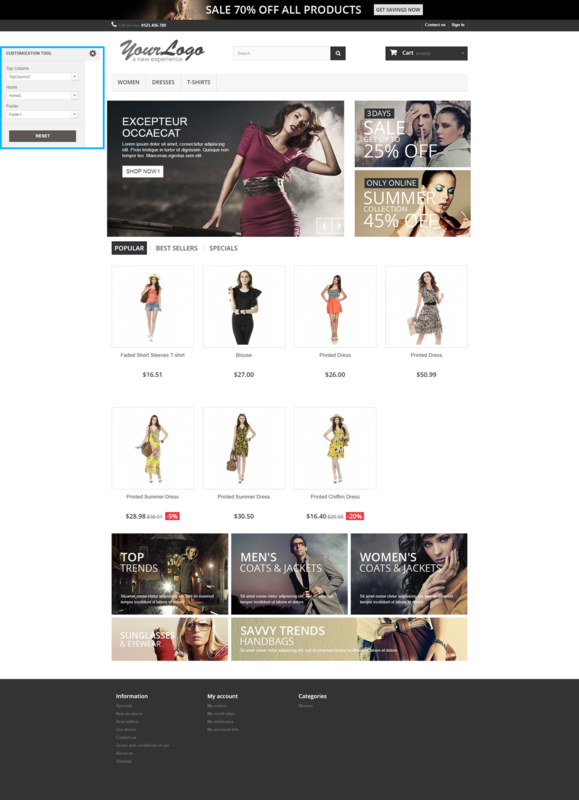 You can also use your header and footer layouts on the product pages. In the latest version of the module, it is possible to create and add extra content (HTML, banner, video or slider blocks) in any position and in any layout. Feel free to check the detailed tutorial “TM Mega Layout Module overview“.